Publisher: Jossey-Bass; 1 edition, January 9, 2009. The book teaches the principles of research study methodology and design so that the reader can become better at critically analysing scientific and clinical studies. 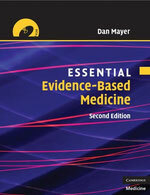 It describes the basic elements needed to understand biostatistics and epidemiology as applied to health care studies, and how to become a more discriminating reader of the medical literature by adopting the skills of critical appraisal. This new edition is extensively edited and updated, and includes two entirely new chapters on critical appraisal of qualitative research and communicating risks and evidence to patients. The text is geared towards the new learner, and assumes little clinical experience, starting with the basic principles of critical appraisal. This book offers the most comprehensive coverage of qualitative techniques of any book on the market today and does it in a way that is easy to read and follow. The author's central purpose remains a desire to instruct inexperienced researchers in ways of effectively collecting, organizing, and making sense of qualitative data, while stressing the importance of ethics in research and in taking the time to properly design and think through any research endeavor. After reading this book, fledgling researchers should be able to design, collect, and analyze data and then present their results to the scientific community. Considers seven different data collection strategies in detail. Describes focus group interviewing, one of the fastest growing styles of data collection, in detail (Ch. 5), including a new Moderator's Guide that provides the inexperienced focus group facilitator with a step-by-step guide to how the interview should be conducted. Maintains the emphasis on ethics in research (Ch. 3) including a new section on the President's apology for the Tuskegee Syphilis Study. 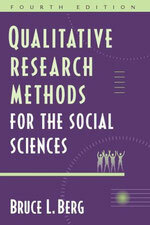 For anyone in the social sciences who needs to develop research methodology. The book helps students understand what research can and cannot do, become better consumers of research, and learn why properly conducted research is important. 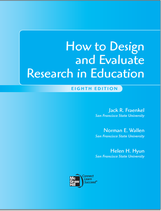 This text teaches students to be a better consumer of research results, understand how the research enterprise works, and prepares them to conduct small research projects. Upon completing this text, students will be aware of what research can and cannot do, and why properly conducted research is important. 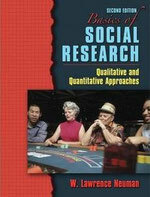 This book discusses both qualitative and quantitative approaches to social research, emphasizing the benefits of combining various approaches. This book takes the reader through the entire research process: choosing a question, designing a study, collecting the data, using univariate, bivariate and multivariable analysis, and publishing the results. It does so by using plain language rather than complex derivations and mathematical formulas. It focuses on the nuts and bolts of performing research by asking and answering the most basic questions about doing research studies. 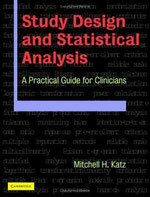 Making good use of numerous tables, graphs and tips, this book helps to demystify the process. A generous number of up-to-date examples from the clinical literature give an illustrated and practical account of how to use multivariable analysis.